It looks so cool, doesn’t it? I love that Magnus and Alec are on the cover, it’s very fitting since their first book is also published this year (only six days until The Red Scrolls of Magic is available in stores and online)! Cassandra Jean said that the cover is once again based on tarot cards and asked her Twitter followers to have a guess. The first two volumes covered the events of City of Bones, so now it’s time to (re)turn to City of Ashes. I can’t wait to find out which scenes made it into the graphic novel and where the book has been split. 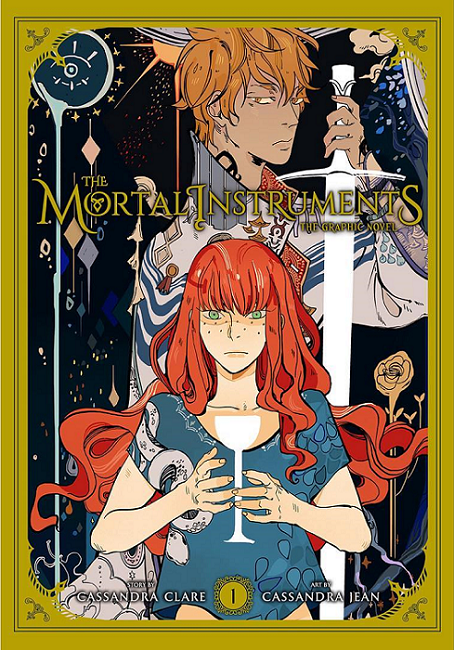 Make sure to pre-order your copy of The Mortal Instruments: The Graphic Novel Vol. 3 on Amazon, Barnes & Noble, the Book Depository (link to be added as soon as it’s available) or wherever books are sold! What do you think of the cover? Sound off in the comments below!